We discussed what forms are on a landing page blog post. Let’s give them some more love- after all, they’re the ones gathering leads for you, so they deserve it! Follow these guidelines for forms that are on point. A form can only ask as many questions as the promotion being offered is worth. Remember, a form is the currency that a lead is filling out in order to “buy” your offer. I’ve said this many times before, but be sure that your form isn’t too long! That’s a sure way to scare off any potential leads for the good. Rather, ask targeted questions. Remember personas (add link)? Include questions that they would be willing to answer. Speaking of personas, forms are a good place to segment your personas and learn more about them. Maybe your persona has a specific job title, or works in a certain industry. Asking for a job title or industry on the form will help you split new contacts up by persona, so that you can cater more specifically to their needs. Also, now you can use any other personal information that they have provided to further tweak and specify each unique persona. Something you may want to consider is what kind of leads you are trying to attract. If you’re trying to attract a smaller number of more qualified leads, it may be a good idea to make your form a little longer to weed out leads who have a lower chance of become customers. But if you are looking for any general leads, keeping the form short and sweet will get you more results. Another thing you’ll need to consider is which stage of the buyer’s journey your new lead is currently placed. For example, if an offer is for a free consultation, chances are that your new lead is in the decision stage (someone who is ready to make a purchase). You may want to ask a question such as their budget for whatever you’re offering, to see if they’re a worthwhile candidate for your sales team to pursue. If the lead, however, is still in the awareness stage (meaning they’re just window shopping and not yet ready to buy), asking for their budget may be too forward a question. Once you’ve brainstormed good questions based off of the guidelines above, it’s time to design your form. Obviously, make sure to include a label (i.e. email address, name) to each field. Make them as specific as you can- if you want to send leads text messages, make sure to specify “mobile phone number”, as opposed to just “phone number”. Another good idea is to include placeholder text- text pre-filled in a field, usually in a lighter color, as an example so leads know what to write. For example, under the “name” field, you may want to write “John H. Doe”, so they know to include their full name, not just first or last. Also utilize help text, which may specify under an “interests” field to check all options that apply. When possible, give limited options, as this will make answers easier to compartmentalize. Use tools such as drop-down lists and checkboxes to get clearer answers. 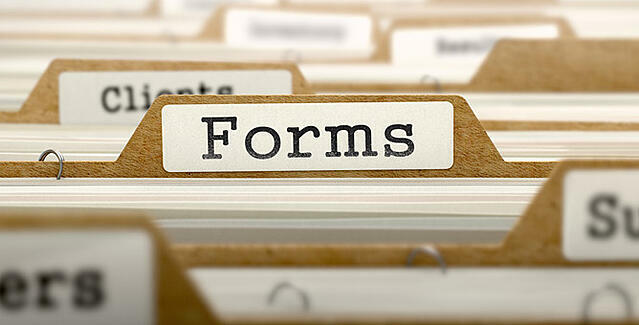 Try to shake up field types to make filling out the form more engaging. The last step is to look at your completed form. Ask yourself, “would I be willing to give all this information in exchange for this offer?” Hopefully your answer will be a positive one. Either way, it’s important to also look at the form from your persona’s perspective and consider whether they would be willing to hand all that over. With these tips, you’re on your way to generating more leads than ever before!